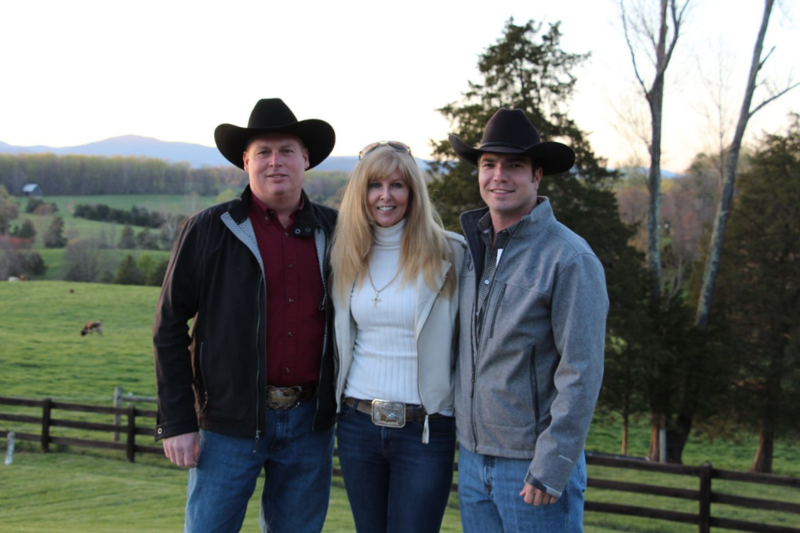 Cherry Blossom Auctioneer Dan Huntington, 5D Ranch with sale hosts Ann Gravett & Bear Davidson, G&G Longhorns. Bear is also with Eastwind StockCo. There were 4 scratches and 5 POs.